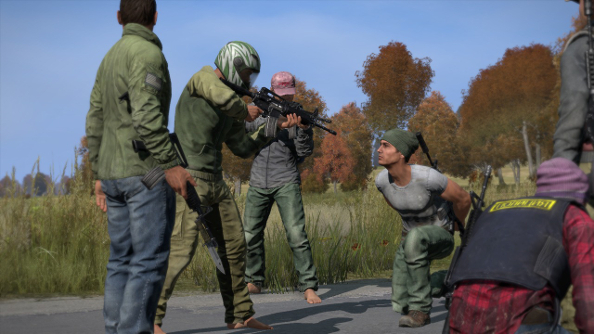 DayZ has hit yet another milestone. The Early Access game has sold over 3 million copies. That’s just over a third of Chernarus’ pre-infection population, if it was the same as the Czech Republic’s, Bohemia Interactive’s home turf and the country that inspired the fictional region. That’s quite a lot of survivors, then. Good job, citizens of Chernarus. Producer Brian Hicks announced the news earlier today, on Twitter. Well, I guess it is official now. DayZ has sold over 3,000,000 units as of yesterday. *mind blown* Amazing. Thank You all for the support. We spoke with him a couple of weeks ago, where he told us that the game was already pretty close the milestone. “We’re about 100,000 copies under that,” he told our Jules. My first proper adventure in DayZ didn’t happen until late last year, where I discovered that zombies are no longer pushovers. The real threat, however, was rice. It will kill you, people, never forget that. And don’t listen to Nick. Ever. Are you lovely folk still messing around in the work-in-progress world?